Let’s see how they work! Wolves, bears and boars will now attack all nearby units within some range. Wolves and Bears also got special spawning house – Den. It will spawn new animals until destroyed. Animals spawned from den will wander within certain radius (attacking anyone passing by) and “guard” in smaller radius (running to attack anyone approaching). Animals and dens can be placed and configured via built-in Map Editor. So now, animals are a real threat for citizens working in the field and for advancing armies. 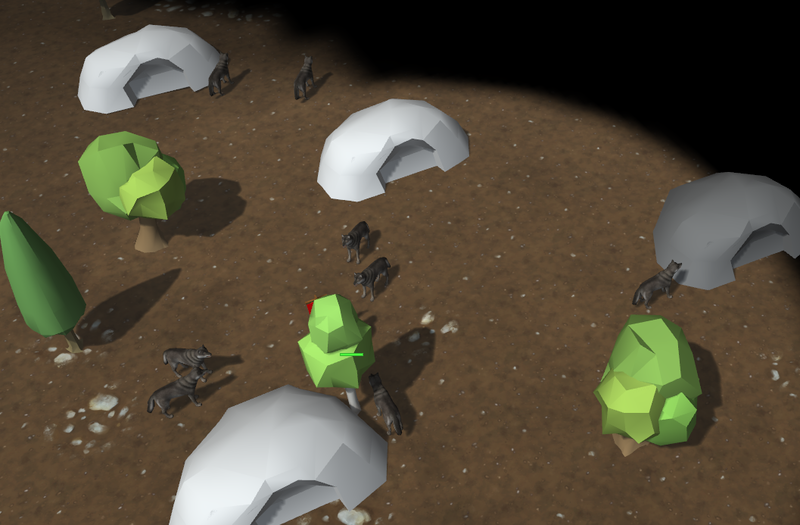 This can be seen in Horseshoe – 1vs1 map, designed around wolves obstacle in between 2 players. Soldiers can be trained from the first second now. Militia training was moved to Camp. Cost of training is 1 Blank (who will leave his Cottage upon completion) and 1 Club. Clubs can be made later in the game in Weapons Workshop at a cost of 1 Wood. Typical Camp will have a dozen of clubs at the start, allowing player to hire Militia for exploring and self-defense, but not enough for full-scale offense operation (more on that in Morale section). 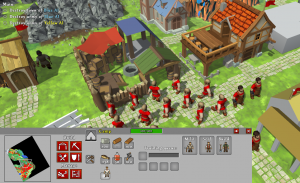 Along with Militia, now Camps can train Serfs and Builders (they cost only 1 Blank). Warriors attack strength now depends on their class and proximity to their (or any allied) town. Militia has lowest morale strength – only 15%. This means that it will fight at full strength within it’s town borders and only at 15% strength when far from the town (e.g. in enemy town). Better warriors have stronger morale (which goes all the way up to 100%). 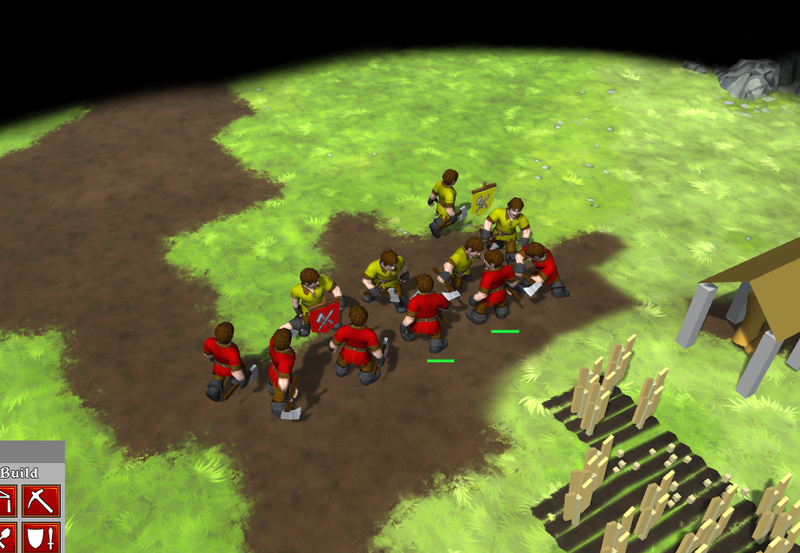 This means, that for example 2 enemy militia can be easily beaten by just one defending unit. I want the system to be stateless – that is given static setup (units/houses placement) morale should always be the same, irregardless of previous/next system state. In other words, if you see a screenshot you can calculate everyone’s morale without knowing what happened before. All these features are aimed at making early game more engaging. They all look very promising changes indeed. Thanks Krom! Sounds amazing! Thanks for your hard work! I’m improving AI for Alpha 9 too. 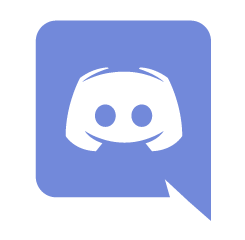 How better is it? – only playtesting can tell. the moral is a good idea. That could make the game even more tactical.